The celebration of the 30th anniversary of the establishment of the Slovensky raj National Park , Slovakia was held on June 21st – 22nd 2018. The objective of this event was twofold: to celebrate the 30th anniversary, and to discuss the future of the park with reference to the development and demands of the region. The conference became an excellent opportunity to present understanding and importance of the national park from many perspectives. This included all relevant institutions operating within this area such as private land owners, state forestry, tourism association, and NGOs. In the last few years the National Park Slovensky raj has become an important model for the Slovakian network of protected areas. A committed team of managers has enabled the local people, land owners and visitors to link this area as an interesting destination, with deep canyons and rich biodiversity. Nowadays this area has ambition to get an additional value – Wilderness. The Slovakian system of protected areas still has a challenging management model. State property in the protected areas are managed by State Forestry. The guiding principles of this organisation are defined by forest legislation. The main issue is the interest of nature conservation, which is discussed in never ending meetings where they search for a compromise. Tension is obvious. Forest legislation is setting rules on how to use forests. This stimulates the need for creating nature conservation legislation to protect Wilderness and biodiversity. We learnt that the National Park administration is just of one of many other government and private institutions running their business at the park territory. 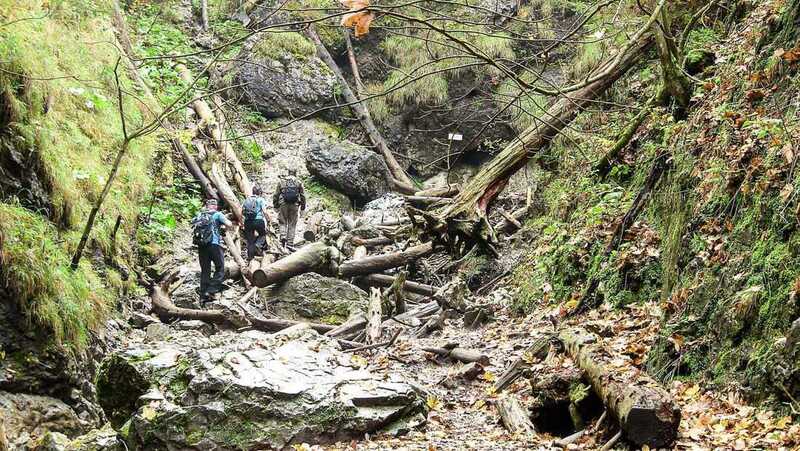 It is very difficult to understand this situation, particularly when all other central European countries have solved this problem years ago, and given rights and full management responsibility to the national parks administration. Particularly in the case of forest management and core zone stewardship. This is very important to remember, particularly for politicians forming rules of the game in these areas. This is important particularly in the core zone of national parks with the aim to join the European Wilderness Network.